Buy property Egypt, flat for sale in Egypt Sharm el Sheikh S155 | Egypt Sharm el-Sheikh Real Estate Co.
1 bedroom apartment for sale in a new residential complex in Naama Bay - Sharm El Sheikh. The apartment is located on a second floor, area of ​​55 square meters, with furniture. 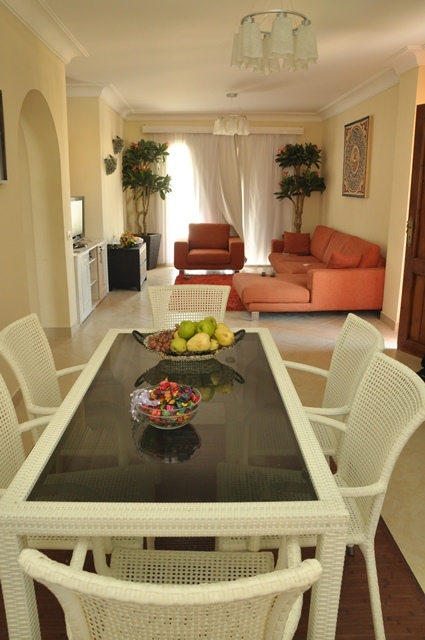 This complex is one of the most beautiful and comfortable facilities in Naama Bay. Due to its location residents of the complex can freely and quickly get to the best beaches in Naama Bay. It's not just a residential complex that is as progressive business center. This business center and beauty shops, and cafes, and car showroom. On the territory there are several large and small swimming pools, children's and sports facilities, supermarket, 24 hours security, private parking. Price – 59 000 $.